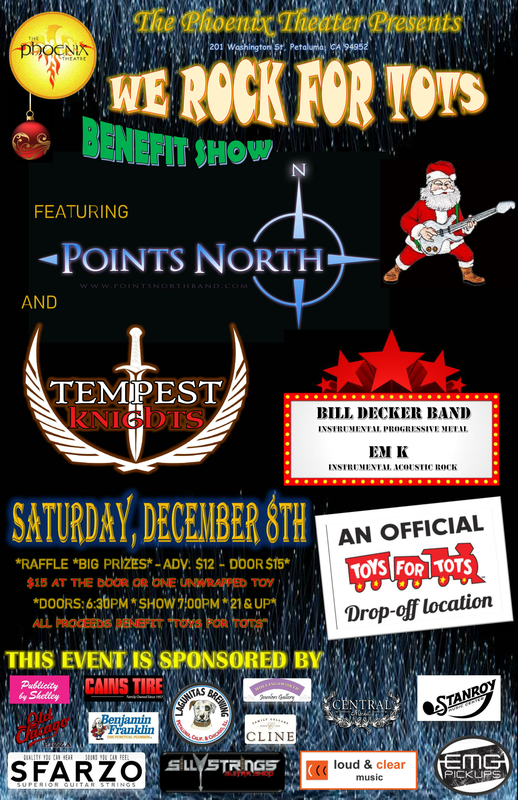 “We Rock for TOTS” is a special guitar-centric rock concert and fundraiser event featuring a leader in modern instrumental guitar music, Magna Carta recording artist Points North. Supporting sets include renown rock/classical guitarist and consummate entertainer, Em K, performing an intimate solo rock acoustic set---probably without the infamous exploding guitar but who knows?--- the Bill Decker Band, instrumental progressive metal local favorites and emerging melodic hard rock/new retro metal band, Tempest Knights. 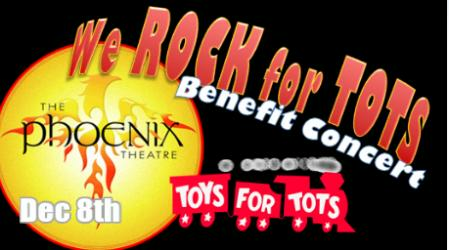 The historic Phoenix Theater presents We Rock for TOTS, an official Toys for Tots © Holiday Toy Drive and Fundraiser Benefit Concert on Saturday, December 8, 2018. Top North Bay musicians and local businesses band together showing the North Bay rocks hard for a great cause of sharing with less fortunate children and helping bring joy to their holiday season. Spearheaded by guitarist Eric Barnett (Guitar Player Magazine’s national Guitar Superstar Competition Finalist), drummer Kevin Aiello and renowned bassist Uriah Duffy (Fantastic Negrito, Steve Stevens Band, ex-Whitesnake, and more), Magna Carta Recording artist Points North stands on the shoulders of iconic bands such as The Police, Rush and Dixie Dregs, but clearly cut their own artistic path. 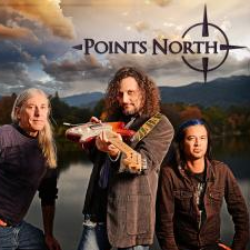 Simply put, Points North is a leading light of modern instrumental guitar music, single-handedly helping to revitalize the genre through their technical prowess, superior musicality and compositional skills. 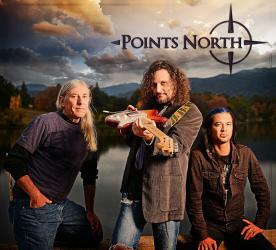 Building a following on the West Coast by playing higher profile shows over the last several years supporting a diverse set of artists including Eric Johnson, Blues Traveler, Michael Schenker, Al Di Meola and Pat Travers, Points North has showed a determination that very few other bands would be capable of. The coming of the storm features chief story-teller Nikki Scott spinning a tale straight from the pages of ancient mythology. 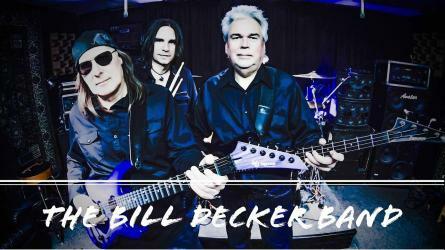 A new melodic hard rock group rises with driving rhythms, Frank Guile’s electrifying guitar licks, thunderous bass lines by Fred Marvel and Tymber’s slammin’ drums. 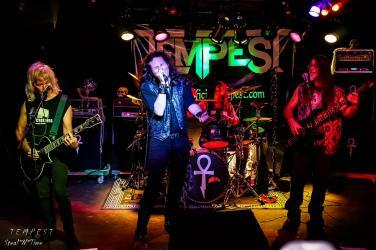 MNPR Magazine’s Raven Divito acclaims ““A rippin' four piece with exceptional sound and style. Right up my alley with flavors of Rainbow, U.F.O. and Black Sabbath to name a few. Really dug there sound, and their guitar player Frank Guiles shreds it. Nikki Scott on vocals strikes up some depth in his vocals. They had a solid fan following as well.” Forged in the northern bay area of California, this four piece group brings back the sense of mysticism long lost to the genre. Em K began playing guitar at the age of seven in Queens, New York. He honed his craft when it was considered cool to be a lead rock guitar player, and incorporating the outrageous into his playing came naturally. After years of success with his band Chumbi on the rock music scene, Em decided to explore a very different direction with his music and delved into playing classical guitar pieces. 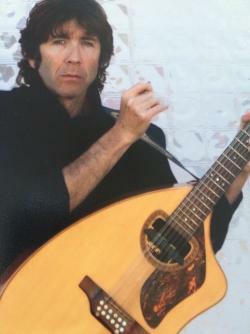 He began experimenting with his technique and arrangements, using a distinctive rock inspired approach. This intimate solo performance promises to pay homage to his rock roots when he performs some of that genre’s most popular songs in his unique classically transcribed arrangements. The Phoenix Theater has a long history of supporting arts and music and its ongoing mission to provide safe haven for youth programs and services makes it the perfect place to present this event. While usually an all-ages club, this particular fund-raiser event is 21+. Phoenix founder Tom Gaffey will emcee the evening’s festivities.